Info of famous paintings by rijn van Rembrandt and list of drawings names, as well as pastel of art Rembrandt, Nightwatch and biography. You may even get a beautiful oil reproduction of the works by Rembrandt van rijn. 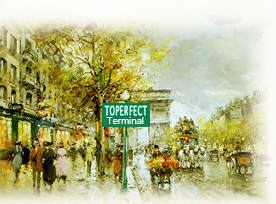 Toperfect, the terminal to your hard journey of searching for Rembrandt gallery! Toperfect Art supplies biography Rembrandt and painting knowledge, which is useful for painters and art fans. Our art gallery not only supply high-quality oil painting reproduction of Rembrandt for sale, but also tell you story about these famous paintings and Baroque style. , and self portrait Rembrandt. All of Rembrandt art can be ordered as reproductions of oil painting, acrylic painting, and watercolor painting for wall decor. You're welcome to send your own images of the famous artist to us to paint by hand as painting from photos, which is more artistic collection than those Rembrandt van rijn prints and posters made by machinery. You're allowed to download the Rembrandt pictures from Toperfect's website as wallpapers. The copyright of biography scripts in this website is owned by Toperfect. Toperfect reserves the manual scripts of original version. Toperfect will take appropriate legal action in the piracy and infringements of copyright. 4 Portrait of Nicolaes Ruts Rembrandt portrait. Born in: Leyden (South Holland, Netherlands). The artist is teacher of Gerrit Dou (1613-1675) and Nicolaes Maes (1632-1693), was one of the most important painter in 17th century’s Europe as well as in the Holland history. In 1627, the 21-year-old Rembrandt had already acquired the basic skills of oil painting, sketch and etching, and his own style had been developed. He established a painting studio in hometown, large amount of portraits by Rembrandt ware produced in this period. In 1631 he left Leiden for Amsterdam, and became the major portrait painters there. The genres of painting by Rembrandt are so broad that portrait painting, landscape painting, genre painting, religious painting and historical painting on canvas are included. So, oil painting lovers are very interested in Rembrandt biography, and reproductions of Rembrandt paintings for sale in gallery are prevalent. Rembrandt van rijn produced approximately 600 paintings in main subjects of portrait, 300 etchings, and 1,400 Rembrandt drawings. Some of Rembrandt paintings are famous such as St. Paul in Prison (1627); Supper at Emmaus (1630); The Anatomy Lesson of Dr. Nicolaes Tulp (1632); Young Girl at an Open Half-Door (1645); The Mill (1650); Aristotle Contemplating the Bust of Homer (1653); The Return of the Prodigal Son (after 1660); The Syndics of the Drapers' Guild (1662); and many Rembrandt portraits. In 1942, a company commander and 16 militia soldiers under his leadership paid 100 shields each to ask Rembrandt van Rijn to paint a group portrait for them. Rembrandt artist designed a scene supposed that the 16 solders are in command of patrol. They are preparing respectively. This is the origination of his conception in his later art Night Watch Rembrandt, and actually the scene depicted in the picture is in daytime. In this portrait Rembrandt, the painter adopted the method of chiaroscuro to shape the figure by light. The abundant layers in the frame made it a masterpiece. When the The Nightwatch was taken back, the solders found it too big to hang in the hall, so they cut the margins off, which broke the original balance. The hall was warmed by burning charcoal, so that the Rembrandt Nightwatch was covered by a heavy layer of coal ash and looked gloom. Since the dark appearance made people mistake the scene in daytime for at night, they named it The Night Watch. Oil painting on canvas, 169.5X216.5cm. Finished in 1632, this painting The Anatomy Lecture of Dr Nicolaes Tulp reveals that artist Rembrandt has surpassed the ordinary skill of portrait painting prevalent in Amsterdam at that time. Dr Nicolaes Tulp was a surgeon in Amsterdam. This group portrait of Dr Nicolaes Tulp and another seven surgeons made Rembrandt van rijn famous at once. The scene in The Anatomy Lecture of Dr Nicolaes Tulp shows a strong contrast in the light and shade. Through a vivid portray of every figure, Rembrandt the artist achieved a combination of the originality and the tension of the frame. The Anatomy Lecture of Dr Nicolaes Tulp broke through the rigid form and pyramid composition of group portrait painting. The vivid depiction in the composition and expression of the figures highlighted the plot and made the Rembrandt portraits as meaningful as genre painting. In 19th century, many Jews began to immigrate to the section where rijn Rembrandt once lived and a Jewish church had already established. Then, it is also found constantly that Jews and Jewish models used in art of Rembrandt, which further proved such sayings. A large amount of works by Rembrandt are defined as Jewish painting, for example, the famous Rembrandt painting The Jewish Bride. In fact, only one artwork can stand the tests of the audience, that is the Rembrandts art of a Jewish doctor. 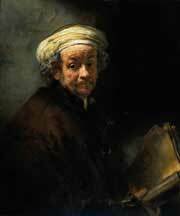 The Jewish painting is indeed created by Rembrandt van Rijn, and the doctor is his neighbour. Rembrandt portrait, landscape and narrative painting are the primary subjects in the career of the artist, he use skill in representing emotions and attention to detail to explain biblical stories. The surface of paintings by Rembrandt is smooth in early periods, but later become rough treatment of richly variegated surfaces. During Leiden period works of Rembrandt were rather small and in details, painter Rembrandt's most favored are related to Religious and allegorical themes including Rembrandt Jesus. In his commercial studio Rembrandt van rijn completed some famous paintings such as Judas Repentant, Returning the Pieces of Silver in 1629, in these art Rembrandt shows the artist's interest in the handling of light and paint application, these features constitute the first major progress of the artist Rembrandt. From 1632 to 1636 Rembrandt painter began to paint dramatic biblical and mythological scenes, so we see Rembrandt Christ The Storm on the Sea of Galilee in high contrast and of large format, other paintings of Rembrandt in this periods are The Blinding of Samson, Belshazzar's Feast, and Rembrandt Danaë 1636 when he was in Amsterdam. After Rembrandt Nightwatch, his paintings varied greatly in size, subject, and style. The artist preferred to the more expressive use of brushwork, need indicate the subject of Venetian art. A marked decrease in Works by Rembrandt were in favor of etchings and drawings of Dutch rural scenes. In painting by Rembrandt natural drama eventually made way for quiet landscapes. The style of Rembrandt pastel and oil painting changed again in the 1650s to richer colors and more pronounced brush strokes, which informed the surface of a painting by Rembrandt mimetic effects because that it may hearken to medieval procedures. Ninety odd paintings were self portraits Rembrandt, but some of them is part of their training when Rembrandt the painter had his students copy these self-portraits. These Rembrandt oil paintings trace the progress from his young to his old age in depiction of the troubled but massively powerful portraits. In Rembrandt drawings and self-portraits, he angles the sitter's face in the ridge of the nose nearly that always forming the line of demarcation between brightly illuminated and shadowy areas. Chiaroscuro was used in Rembrandt artwork as adapted for personal means, it's more prominent characteristics to achieve similar theatrical employment of light and shadow with Caravaggio. His dramatic and lively presentation of subjects of paintings are notable and devoid of the rigid formality. Rijn van Rembrandt attended Latin school when he was a boy and later was enrolled at the University of Leiden, he had a greater inclination towards painting. Rembrandt was soon apprenticed to a Leiden history painter for three years. Rembrandt van rijn opened a studio with Jan Lievens together in Leiden after six months' apprenticeship with the famous painter Pieter Lastman in 1624. After 3 years Gerrit Dou became the student of artist Rembrandt. The painter rapidly expanded his business in the capital of the Netherlands in 1631 and began to practice successfully as a professional portraitist for the first time. Rembrandt van rijn bought many art, prints, and rarities, he even took part in bidding up his own artwork. To avoid his bankruptcy in 1656 a court arrangement judged selling most of Rembrandt paintings and large collection of antiquities. Rembrandt was buried in an unmarked grave after died on October 4, 1669.